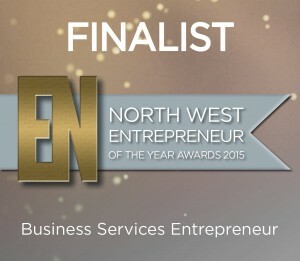 North West Catering and Hospitality recruitment consultancy Perfect Recruitment has made it to the finals for the highly coveted 2015 North West Entrepreneur awards. Being chosen as a finalist for the “Business Service Entrepreneur Award” Director Lisa Brady-munro is said to be “delighted if not a little shocked” by reaching the finals. “This is an award I entered the company for back in August and didn’t give it much thought at the time. I have had emails and Tweets congratulating me from other business sectors, and I am proud to be in the finals with such big names in business”. The NW Entrepreneur awards take place on the 21st October at Mere Golf Resort in Cheshire hosted by Nick Hewer, Lord Sugar’s former right hand man from the Apprentice. Lisa and her team will have to wait until then for the final decision. Lisa was also a finalist earlier this year at the BIBA’s.